Bottom heat is one of the most important and effective ways to improve germination and rooting. Our new, heavy-duty, modular, commercial heat mats will provide uniform heat for hundreds of seedlings or cuttings. The new, stronger heating wire and thicker, multi-layer construction offer more uniform heating and the durability to withstand rugged greenhouse environments. This digital temperature control device allows gardeners to select and maintain optimum rooting temperatures for faster seedling or cutting growth. 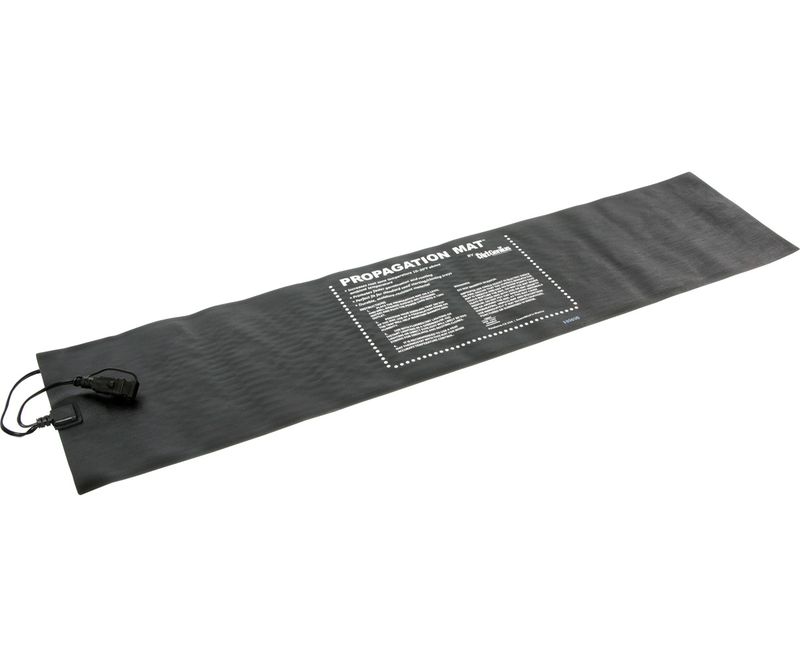 Commercial MTMDU Commercial Heat Mat - 180W, 6' Power Cord 60" x 21"
MTMDA Modular Add-on Commercial Heat Mat 60" x 21"